Delicate and sweet writing from the point-of-view of an eight-year-old child, but what is really great about this piece is that it’s written in second person. I haven’t read a second person story before this that isn’t in the form of letter or diary. (If you know of any, comment below I’d love to read it) In this instance it gives the reader a strong sense of being right with the character and somehow helps to put you in the mind of the child. There’s nothing bad to say about this; it’s gorgeous, a must read. 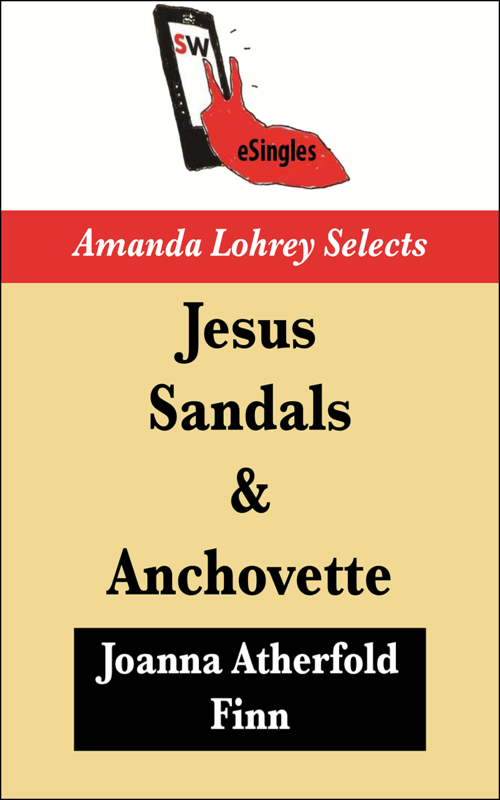 This story is from the Amanda Lohrey Selects series at Spineless Wonders Publishing. There is so much information about the little girl (and the family) to be gleaned from these few opening sentences. You look out the back window of the lime-green Galant to the curved struts of the rusting balcony, the top step where you grinned (gap-toothed) for your first-day-of-school photo, the pine tree with its dying centre. Behind the gate is your cubby house with foundations so deep it can’t be moved. Next door, Mr Carter is spraying his cumquat trees. You picture Mrs Carter inside sitting at the kitchen table doing her crossword, and Jesus hanging from his cross, observing her forlornly. She has told you he is all-knowing. You wonder why he doesn’t drop a hint now and then. A row of blue-headed pins protruded from her pillowy lips. Her smooth forehead bobbed as you revolved in tiny increments. and descriptions that can pull you back right there with the little girl. We know where they are even before it’s made clear. He leads you through glass doors with his hand clamped around the back of your neck, past nicotine-yellow tables, over kaleidoscope carpet. A row of men are perched on stools, their thick arms bent across blue towels, their hairy legs dangling. Their hair is shrinking into their skulls. They are stunted and swollen like the puffer fish you poke with a stick on the beach. Author Nina D’Aleo answers Lychees or Peaches – she’s a dreamer- #sigh…. Fantasy author Kylie Chan takes on Lychees or Peaches and promises she won’t sing to you!